I started reading a new blog called Jessica Taylor Uncovered and she had a post on there opening up about how she felt when she looked in the mirror. I realised how cathartic it must have felt to actually get that out. So, sorry Jessica, I’m going to be stealing your idea!! 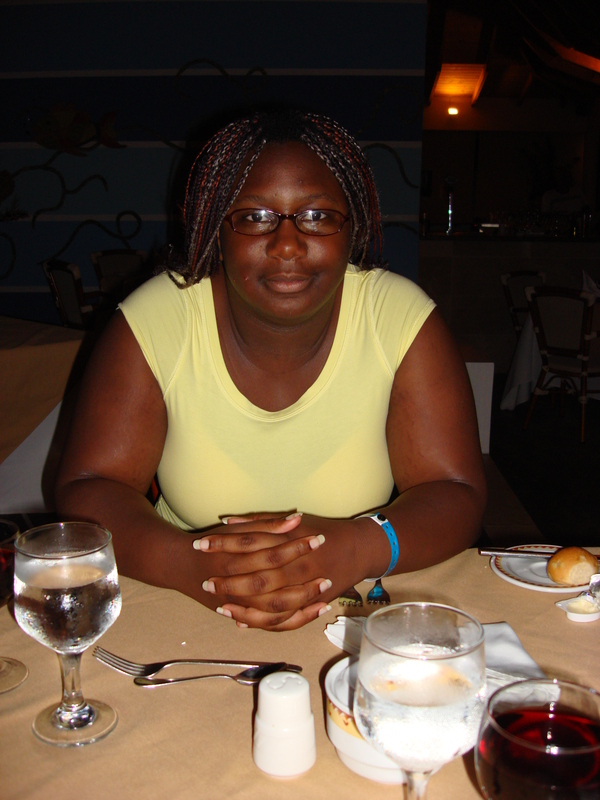 I first realised how awful I looked when I saw pictures from our trip to the Dominican Republic in 2007. I was huge. I thought that I was looking great. Unfortunately, when I got home and looked at the photos, I realised how wrong I was. I was such an eye opener. For some reason I never saw it coming. Which is more ridiculous the more I think about it. I think it started in 2006 when I met my now husband. I was much smaller then – probably about a size 10. I remember choosing clothes to wear and finding that they weren’t fitting so I would buy something else that fit. I was gradually getting bigger and bigger. I put it down to going out for dinner more. I seem to have spent the last 7 years of my life trying to lose weight. When I look in the mirror, I’m so disappointed with what I see. My husband always says that he loves me anyway which is great but doesn’t do much for me wanted to lose it. I was thinking that doing it for him would be easiest. But I’ve realised that I really need to do it for myself. So that I can look how I want to look. A couple of weeks ago, my husband and I went to Las Vegas and LA! It was an amazing trip. I didn’t let my husband take a single picture of me. I knew how disappointed I would feel in myself. Today, I’m 212lbs and I need to get down to 147lbs. That’s a massive 65lb loss requirement. I didn’t have a goal date which was good as here would be no pressure on myself to lose the weight quickly… But then I found out that my brother-in-law is getting married likely next year September time so I need to lose the weight by then. I’m not sure if I will be a bridesmaid but I will definitely be in a lot of pictures so I want to make sure that I look good! I’ve got, hopefully at least, 10 months to lose the weight. That works out as a mere 6.5lbs a month. Which on the face of it, should be easy as pie. Hopefully I can have a good first month loss to really start me in the right direction. I also have a Christmas party in just under 8 weeks so I would like to get under 200lbs for that. This is amazing!!! Thank you so much for mentioning me 🙂 I know you can SO do this – we both can. I see we are now Twitter and Instagram friends which is awesome and if you are ever having a bad day and are feeling like you can’t resist the urge to fall back into old ways, just send me a message and we’ll get through it 💪 (my email is jessicatayloruncovered@gmail.com if you ever want to get in touch. Thanks Jess! I certainly hope I can do it! I think I just need to remember that it’s not a race! I can’t wait for us to get to know each other better! !